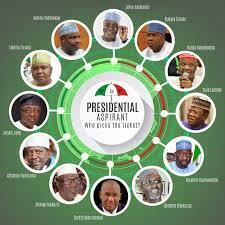 Home / Politics / What are the chance of PDP’s with10 aspirant, against Buhari? What are the chance of PDP’s with10 aspirant, against Buhari? The People’s Democratic Party (PDP), ticket is the most contested with Twelve aspirants are currently aspiring for the Presidential ticket under the party. The party’s primaries would have been one to ignore if these politicians are mere individuals without any political capital. But this isn’t the case. These aspirants are well-grounded politicians who can hold their own on any given day. Most of the 12 aspirants are political godfathers in their own right, they are the bigwigs of Nigerian politics and some of them have been consistently in the public space for more than eight years. Not only are they well known to Nigerians, they also have reliable political constituencies with cult-like, dedicated followership they can call on at any point in time. The irony of the situation is that the exit of some of these candidates from the party in 2013 was largely responsible for the electoral loss suffered by the PDP at the 2015 presidential election. And now their return back home, though a blessing to the battered former ruling party, has the potential of unsettling the tenuous peace in the PDP. From the eloquent and articulate Ibrahim Shekarau to the politically savvy and Machiavellian Bukola Saraki who has held his own against the entire executive machinery; the stealth and unfazed Rabiu Kwankwaso; the presidential and calm technocrat Ibrahim Dankwambo; the dogged Atiku Abubakar; the youthful Aminu Tambuwal; the erudite Datti Baba Ahmed, and the tenacious Ahmed Makarfi. The list also includes Jonah Jang, a former governor of Plateau; Taminu Turaki, a former minister of Special Duties; Attahiru Bafarawa, a former Sokoto governor and Sule Lamido, a former governor of Jigawa. All these aspirants will make the upcoming PDP primaries very exciting and one to follow keenly. The party has a herculean task at hand, as it has to manage the ambitions of these aspirants without jeopardising the party’s interest and chances in the 2019 election. There is no doubt that the PDP and the APC are the two formidable parties that will go head to head in the 2019 elections. The APC decampees believe the party will offer its presidential ticket to the incumbent, Muhammadu Buhari and that whatever primaries the ruling party conducts will be nothing but shambolic, hence the exodus back to their former fold where they think they stand a chance. Secondly, all presidential aspirants in the PDP are mostly from President Buhari’s geopolitical base and are aware of his cult-like following and how it aided his election in 2015. However, the president’s followership has dwindled due to some decisions, such as the state of the economy, the continued detention of Shiite leader, Ibrahim Zakzaky and the former National Security Adviser, Colonel Sambo Dasuki (rtd.) – men who the courts have told the executive to release on bail. Buhari has also displayed a somewhat lackadaisical attitude to the farmers-herders crisis in the Middle Belt, as his body language has led to the death of many. He is seen to be running a selective anti-corruption war focused on humiliating opposition politicians while displaying a soft spot for perceived corrupt officials in his administration. There is also the continuous bickering and power struggle in his cabinet as a cabal is alleged to be running the country to the chagrin of many within the administration. These antecedents of the president is a flicker of hope for the PDP aspirants who believe they stand a chance come 2019, seeing that in 2015 an incumbent president was defeated. The PDP is a party with formidable infrastructure across the country having been at the centre for 16 years. The PDP might be the opposition party, but there is no other party that has the political capital that the PDP has garnered all these years, so this explains the high number of presidential aspirants vying for her ticket. No other party can unseat the ruling party for now, except the PDP. Whoever emerges as the PDP candidate from the pool of aspirants at their disposal definitely has the capacity to give the incumbent a good run for his money, and perhaps stands a chance of providing Nigerians with successive defeats of incumbents.